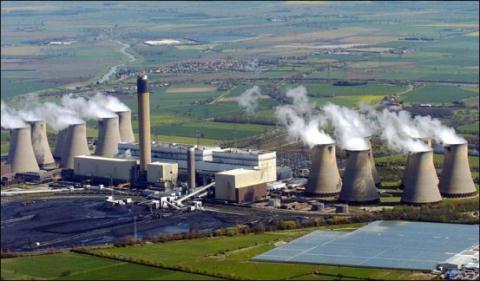 The total amount of ash and flag produced by coal-fired thermopower plants is likely to reach 422 million tons by 2030. Vietnam has 20 operational thermopower plants with total capacity of 13,110 MW, which produce 16 million tons of ash and slag each year, and the figure is increasing year after year. Le Van Quang from the Building Material Institute estimates that by 2030 the total figure may reach 422 million and if Vietnam cannot find proper solutions to deal with the slag, it will be a big threat to the environment and people’s health. One of the solutions being developed is the use of ash and slag to make building materials. According to the HCMC Science & Technology Information Center, 13,377 patents on using ash and slag as additives in building material production have been announced globally. In 2008-2018 alone, the number of patents increased by three times compared with the initial period. The sharp rise in number of research works in recent years shows that making building materials is a common application of thermopower ash. In Japan, a report released in 2013 showed that all the ash and slag in the country, estimated at 12.5 million tons by that time, was recycled to make materials and additives in cement and concrete production, or for use in reinforcement and leveling of roads and construction works. In other countries such as the US, Europe, China and India, 60 percent of ash and slag is re-used or recycled. Research works all have come to a conclusion that making building materials with ash and slag is the most economical and effective solution which not only brings economic value, but also helps protect the environment. In Vietnam, inventions on using ash and slag in making building materials have been made public. These include the production of concrete blocks to serve projects encroaching on the sea by Tran Trung Nghia, and the production of light bricks, lightweight insulated panels, and light concrete without using cement by Pham Tuan Nhi. The government of Vietnam has decided that the country will reuse 30 percent of the ash and slag stored in the landfills and reuse all of the ash that is emitted annually. According to Quang, there are two technologies most commonly used at thermopower plants now, namely PC (Pulverized coal) and CFB (Circulating Fluidizing Bed). The ash and slag from the plants using the former technology can be used as additives in making building materials. However, this has not been used on a large scale, which is attributed to the lack of standards and technical guides in using ash and slag. Meanwhile, people are still hesitating to use products made of thermopower ash.